Labrador Retrievers are considered people-oriented animals. So, they have to be in tune with their owners in order to follow certain guidelines. In order to understand this, you have to look deeper at what Labs were bred to do, and that is to hunt and retrieve. You have to think of it this way; these dogs must be in perfect harmony with their hunter/owner in order to follow specific directions to track and find birds that have fallen to the ground. This need for the dog to have hand-held direction links to all aspects of a Labrador's life--even in your home. This is great for those who want constant canine companionship. Nevertheless, it is bad for dog owners who have a Labrador Retriever but expect their pet to entertain itself with little contact from the owner. There are many hunting dogs that were bred to be independent hunters with little contact and instruction from people. Examples of these types of dogs are Terriers and Hounds, which are known to lead the way (by smell and sight) with the human hunter determined to keep up with their companion's pace. This is not how the Labrador is built. Labs are designed to retrieve, and in doing so they must have a connected attention link directly to the hunter. If a retriever ignores the hunter's commands then they may hit the water and swim far past where the bird has fallen, and possibly keep swimming out and away. Retrievers that are well trained do not make these types of errors because they have the natural ability to attend to and follow thorough directions from the hunter. This skill is very critical to being a trustworthy retriever and is one of the reasons that these dogs make great service animals and obedience trainees. You can probably understand by now just how connected and dependent a Labrador Retriever becomes to its owners. Retrievers always looks to people for leadership and must have human contact. It's important to know that every dog breed is sociable to some extent. Some are even more sociable than others, but Labs need a whole log more attention than most dogs. They do not do very well when left alone for prolonged periods of time. A busy family who is away all day and come home to find out that their Lab has destroyed their new window trying to escape does not understand why this is happening. These people are understandably livid and then chastise their Labs. An educated Lab owner will not act this way because they know better. They know what causes a Lab to try to escape like this and just wants to search out and find its owners. The dog is only considering their "pack" missing and make an attempt to find them outside. One big lesson to take away from this article, especially if you have not yet decided on what type of dog to own and are thinking about getting a Labrador Retriever, is to make sure that you have plenty of time to devote to your Lab, day and night. If not, then consider a more independent dog breed. Otherwise, your lovable Lab may soon become increasingly unhappy and will end up a very destructive house pet, or worse, a runaway. Article by Kelly Marshall from Oh My Dog Supplies - where you can find designer dog bowls to match any decor. The Kroger Co. is recalling ten pet food varieties sold across the USA States because they may contain aflatoxin, which poses a health risk to pets. Research on Aflatoxin from BioIdea.net: "Aflatoxins are naturally occurring mycotoxins that are produced by many species, esp. in Aspergillus flavus and Aspergillus parasiticus. They are largely associated with products in the tropics and subtropics. Aflatoxins are toxic and among the most carcinogenic substances known. Cereals crops are frequently contaminated. Aflatoxin B1, the most toxic, is a potent carcinogen and has been associated with liver cancer." Kroger stores in Alabama, Arkansas, Georgia, Illinois, Indiana, Kentucky, Louisiana, Michigan, Mississippi, Missouri, North Carolina, Ohio, South Carolina, Tennessee, Texas, Virginia and West Virginia are included in this recall. The recall also includes Dillons and Gerbes stores in Kansas and Missouri; Baker’s stores in Nebraska; Food 4 Less stores in Nebraska, Illinois and Indiana (Chicago area); and Jay C, Hilander, Owen’s, Pay Less and Scott’s stores in Illinois and Indiana. The following select packages are being recalled: Pet Pride Cat Food, Pet Pride Cat Food, Pet Pride Tasty Blend Poultry & Seafood Cat Food, Pet Pride Kitten Formula Food, Old Yeller Chunk Dog Food, Kroger Value Cat Food and Kroger Value Chunk Dog Food. You can find the specific brand names, package sizes, sell-by dates and UPC codes of the affected products by visiting www.kroger.com/recalls or http://www.fda.gov/Safety/Recalls/ucm237459.htm. You can also contact Kroger toll-free at (800) 632-6900..
My seven year old Black Labrador has hip dysplasia he has been on anti-inflammatory medications since he was six months old. His medication include an anti-inflammatory drug and a Glucosamine supplement. I am not a vet and therefore I will not give any advice on medication. I am happy to suggest on the other most important aspect of treatment. Any dog with hip dysplasia should be kept fit and trim as any excess weight will obviously aggravate the condition, good muscle tone will help to support the dog's weight. Swimming is an excellent form of exercise which builds up the muscle without stress. As the owner of a dog walking service my next point may seem a little strange. Dogs do not need to be "Walked" No wild canine goes for a walk for the sake of it. From your dogs point of view the purpose of a walk is to check out his territory for animal activity and to socialise, meeting members of his wider pack. It is therefore possible to give your dog an enjoyable walk without marching him for miles. 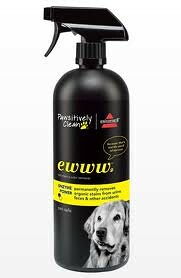 Many people walk dogs on a lead pulling them away from natural smells and other dogs this is a pointless walk. The straining against the lead is also bad for your dog's joints. Walks should be regular but not too long. Try to avoid over excitement, running, ball throwing etc. This will reduce the impact stress on his joints. Don't forget the purpose of the walk is to give your dog the natural stimulus he craves and does not get at home. If you use a dog walking service, make sure that they are aware of your dog's condition and know his requirements and limitations. Get to know your dogs body language, watch his gait and the way he is moving generally. If your dog has over exerted himself you will notice, just let him rest maybe skip his next walk or just take him out for a quick sniff and toilet. The best piece of advice given to me by our Vet is to treat the dog and not the condition. Dogs with HD find it very difficult to cope with hard floors. I have carpet runners in the kitchen and a large mat in his feeding area this is a must. Hip Dysplasia is a serious condition but it is not the end of the world your dog can have a great life with just a little extra care and attention. The above is my opinion as a dog owner please discuss any changes in the way you treat your dog with your Vet. Joe Dyer runs a dog care service in Buckhurst Hill Essex... Chums Dog Walking. Here's a fun game you can play with your Labrador Retriever. Hide and Seek is a great game to play with your Labrador, there's a lot of ways to play it and it's easy to teach. It's also a wonderful stress reliever for your Labrador Retriever on a rainy day or after a training session. All you need to play Hide and Seek with your Labrador is their favorite toy and plenty of yummy treats. REMEMBER - Start slow and easy so your Labrador Retriever has a high rate of success and always make sure you reward your Lab with praise and treats when they bring the toy back. Wellness™ is offering Free dog food samples to let you and your Labrador Retriever discovering the path to True Wellness™ (did I mention they are offering cat food sample also). Their diverse team of animal lovers, nutritionists and vets has only one mission: to help you provide your pet a healthy, happy, long life through the power of natural nutrition. I hope you all try and take advantage of this offering as this is one of the better dog foods that I recommend here on the All About Labradors blog. Offer is valid in US only and while supplies last. While it’s easy for us to enjoy household parties with friends and relatives, holidays are a special time of the year filled with many surprises. Oftentimes we forget about our little four-legged family members during the excitement and festivities. The American Kennel Club® (AKC) offers the following tips to keep your furry friends safe among the hustle and bustle this holiday season. * Daily routines tend to change during the holidays. Maintain a feeding and walking schedule as close to your dog’s normal routine as possible. * Avoid feeding your dog table-scraps and sweets. Chocolate contains harmful, and sometimes fatal, chemicals to canines. Poultry bones can splinter and cause intestinal blockages. * Avoid decorations with popcorn or cranberry strands or tinsel and glass ornaments. Keep small decorations out of your dog’s reach. * When decorating with holiday lights, remember that exposed indoor or outdoor wiring could electrocute a curious canine that chews on it. Tape wires to the wall or sides of the house. * Real Christmas trees pose numerous threats to dogs, so consider an artificial tree. If you do buy a natural tree then make sure your dog doesn’t swallow the pine needles. Dogs also find the tree water tempting, so be sure to use pet-friendly preservatives in the water. * Plants such as poinsettias, holly and mistletoe can be poisonous to pets and should be kept out of reach. * Dispose of all wrapping paper, bows and ribbons as soon as presents are opened. * Resist the urge to give your favorite dog lover a cute, cuddly puppy during the gift-giving season. Puppies are a lifetime responsibility requiring exercise, training, veterinary care and – most importantly – love and attention. Instead, consider gift wrapping dog toys or supplies such as a leash or food bowl to symbolize the gift of a dog to come. Additional tips on how to keep your dog safe during the holidays can be found on the AKC Website at www.akc.org. Sam's Club is offering Free samples of Purina ONE brand Dog Food. "Purina ONE® brand Dog Food offers a full line of innovative formulas to meet your dog's changing and unique nutritional needs. So whether your dog is a puppy, a senior dog, or somewhere in between, the Total Nutrition and targeted nutrition formulas from Purina ONE® brand Dog Food provide nutrition to help promote a lifetime of visible health." To get your Free Purina ONE brand Dog Food sample, visit the Sam's Club website and fill in the form (Limit one sample per household. You must be 18 or older. USA. No Sam's Club membership number needed). A Free Purina One BeyOnd Dog - first 25,000 (they also have cat food samples. 12,500 for dogs and 12,500 for cats). You have to have a Facebook account to request your Free Purina One BeyOnd Dog sample. "With all this talk about Purina ONE beyOnd launching next month, how would you like to be one of the first to try it? For FREE! For this day only, we are giving you a sneak preview before we tell the public. So click on the Try beyOnd tab above and sign up today to get your free package." Create your own free Holiday Pawtrait, compliments of PetSmart. A Holiday Pawtrait is a free holiday e-card you create starring your family and Labrador Retriever(s)(or any other pet you might have). To create your Holiday Pawtrait, all you have to do is select your holiday backdrop, add family members and your Labrador Retriever(s), customize your characters, enter your card's message and snap your pawtrait. When your finished you can e-mail it, post it to Facebook and even print it and mail it as a keepsake card! PetSmart is offering everyone the opportunity to create cute Pet Adornaments for free. What is an adornament? It's the most adorable ornament ever, starring your own Labrador Retriever (or other dog or cat). It's printable, foldable and show-off-able. The pet adornaments are very easy to create, just upload a photo of your lovable Labrador Retriever, select coat length and texture and then add your Labrador Retriever's name. You then have a choice to download and print to assemble your pet adornament, post to your Facebook page, e-mail and copy the URL. After you finish assembling your pet adornament, your can hang it from your Christmas tree! Feel free to post the URL of your Labrador Retriever adornament in the comments section! Here's a coupon to get a Free Canine Greenies Dental Chew at Petsmart. You have to be a PetPerks Member to get the free Greenies coupon. PetPerks membership is free and you can sign up at the above link or in PetSmart stores. There is a maximum of two prints per Canine Greenies Dental Chew coupon. Cold weather brings its own safety and health concerns for both people and dogs. As a responsible dog owner, it is important to pay attention to your dog’s well-being during the winter. The American Kennel Club® offers the following advice to help prepare your pet for the long, cold winter. * Provide Plenty of Fresh Water - Your dog is just as likely to get dehydrated in the winter as in the summer, and snow is not a satisfactory substitute for water. * Provide Plenty of Food - Feed your dog additional calories if it spends a lot of time outdoors or is a working animal. It takes more energy in the winter to keep body temperature regulated, so additional calories are necessary. Dogs that are kept indoors with the family and get less exercise during winter months may actually gain weight so keep an eye on his diet. * Keep Your Dog’s Paws Dry - Rinse your dog’s feet and dry them completely after a walk. This helps avoid tiny cuts and cracked pads. A little petroleum jelly may soften the pads and prevent further cracking. * Groom Your Dog Regularly - Your dog needs a well-groomed coat to keep properly insulated. Towel or blow-dry your dog if he gets wet from rain or snow. * Keep Your Dog Warm, Dry, and Away From Drafts - Adequate shelter is a necessity. Tiles and uncarpeted areas may become extremely cold. Place blankets and pads on floors in these areas. * Cold - Don’t leave your dog outside for long periods of time. Wind chill makes days colder than actual temperature readings, and dogs are susceptible to frostbite on their ears, tails, and feet. * Ice and Snow - Be extra careful when walking or playing with your dog outside. Your pup could slip or jump in a frozen lake, river, or pond and get seriously injured. Snow can muffle scents, and your dog can easily get lost. * Carbon Monoxide - Don’t leave your dog alone in a car. It gets too cold, and carbon monoxide from an engine left running is dangerous. * Antifreeze - Although it smells and tastes good to your dog, antifreeze is highly poisonous and can be lethal. Additional tips on how to keep your dog safe this winter can be found on the AKC Website at www.akc.org. © The American Kennel Club, Inc.
Basically, the hip is a ball-and-socket type of joint. If the socket is too shallow, or the ball to flattened, the result is an unstable joint which tends to come out of place. The most commonly affected breeds are: German Shepherd, St. Bernard, Labrador Retriever, Boxer, Springer Spaniel, Great Dane, and the Bull Mastiff. This is by no means a complete or accurate list, since incidence depends a lot on breed popularity. The gait is often diagnostic and is characterized by waddling, slinking, or "cow hocks" (toes pointed out, hocks pointed toward each other). Any larger breed of dog with a history of hind leg lameness should have hip dysplasia eliminated as the cause before extensive investigation of other diseases is undertaken. Dog Training in Harrisburg Pa. York Pa. Lancaster Pa. Dover Pa. and all of Dauphin County,York County,and Lancaster County: Training books and videos. The Target website is offering free samples of Purina One SmartBlend Dog Food Samples (cat food sample also). "Purina ONE SmartBlend formulas start with real lamb, salmon, chicken or beef and add select ingredients delivering nutrition shown to help make a healthy difference in your pet. The result is a unique blend of tender morsels and crunchy bites for a taste dogs love. Discover the science in nature's ingredients. Purina One SmartBlend formulas deliver concentrated nutrition to promote whole body health. Make the most of everyday moments through smart nutrition." The free samples are available one per customer and to the USA only. As always with free dog food samples, these will go very fast! The ASPCA® has warned that many of the foods and decorations routinely within reach of pets during the holiday season can pose a risk of illness. Last year the The American Society for the Prevention of Cruelty to Animals® (ASPCA®) Animal Poison Control Center dealt with 17,000 cases of pet illness which was caused by ingesting human foods. Of these, chocolate is by far the worst offender, with dark chocolate being the most damaging to pets. Chocolate contains the alkaloid theobromine which is toxic to dogs, and leads to symptoms including vomiting, diarrhea, hyperactivity, abnormal heart rate and occasionally seizures. Pet owners should also be wary of sweeteners, such as xylitol, which is present in an increasing number of confectionary products. Xylitol can cause a sudden drop in blood glucose and there appears to be a strong link between xylitol ingestions and the development of liver failure in dogs. While decorating the family home is an essential part of the holidays, many of the items we incorporate into our traditional holiday decorations each year - ribbons, tinsel, glass ornaments, as well as wires, cords, candles, and even Christmas tree water - can all pose potential dangers to pets if left unattended. And the ASPCA warns that plants and flowers should be kept to a minimum. Last year, the ASPCA Animal Poison Control Center received 8,000 calls about potentially poisonous plants and flowers. "Flowers such as lilies, which are commonly used this time of year, can cause kidney failure in cats. The more traditional festive plants such as holly and mistletoe can also be dangerous for cats and dogs alike, causing gastrointestinal upset or, in rare cases with mistletoe, cardiovascular problems. It's best to use non-toxic decorations, such as wood, fabric or even pinecones," said Dr. Wismer, Senior Director of Veterinary Outreach and Education for the ASPCA. Giving your dog or cat a little turkey may seem like a good idea, but Dr. Wismer warns that the meat may contain bones that can splinter and cause blockages in the throat or digestive tract, and that the grease and fat can cause stomach upset. Additionally, Dr. Wismer strongly urges pet owners to be extremely careful with any alcoholic beverages. "Pets that ingest alcohol can become very sick and may fall into a coma, leading to an untimely death," she adds. If your dog or cat accidentally ingests a potentially toxic substance this holiday season, the ASPCA recommends that you contact your local veterinarian or the ASPCA Animal Poison Control Center. View the latest World Pet News every week at PetPeoplesPlace.com. Here is a coupon for you to get $5 off $5 at Petsmart. To use the coupon you have to be a member of PetPerks (free to join). You can sign up for PetPerks in your local PetSmart store or at PetSmart PetPerks. A big thank you goes out to One Frugal Chick. In the early seventies, many young dogs were put to sleep after being diagnosed with hip dysplasia. It was practical choice in the old days and dog owners would agree with the decision from the veterinarian due to the understanding that "the dog would be crippled in time, for the rest of his life, or that he will not be able to hunt, track, or do obedience work because of his injured hips", according to the doctor. There are no published and worthwhile statistics which show that young dogs subject to such surgery turn out better than those that were not operated. Moreover, those that were left alone are still eligible to compete in dog shows, tracking, and obedience trials. Not only does experience dispute the worth or need of surgery but severing tendon or muscle in the young dog doesn't make any scientific sense. Its effect is to let the "ball" slide out of its "socket", and this creates "hip dysplasia" artificially. Since hip dysplasia was accepted to be genetic in humans, early researches were focused on trying to establish whether it was a dominant, recessive, or other characteristic in dogs. Sufficient statistics have accumulated to conclude that canine hip dysplasia is genetically influenced but a Swedish study on 11,036 German Shepherds showed that ten years of selective breeding not only failed to reduce the number of canine hip dysplasia offspring but also did not reduce the number of grade two or three (moderate or severe) cases. The Swedish authors concluded that canine hip dysplasia was not as greatly genetically influenced as they formerly had thought. They found that other characteristics of the pelvic inlet were suggestive indications and that the rate of bone maturation of the dog is also important. The Greyhound, the only breed of large dog that's not affected, has very slow bone maturation. When the Greyhound was crossed with the German Shepherd, hip dysplasia did not appear in the first generation. It was discovered that a very restricted diet, which contributes to slow growth, reduced hip dysplasia in affected breeds. Although we still do not understand exactly the causes of canine hip dysplasia, it is reasonable to believe that a program of breeding based on the x-ray diagnosis of this condition should be carefully scrutinized. Intelligent. Patient. Tolerant. Mild mannered. Loyal. With traits like these, is it any wonder the Labrador Retriever is the most popular breed of dog in the world? Since 1991, the Labrador Retriever has been the most popular registered breed in the United States, as well. They are gentle, affable and intelligent and considered by many to be the perfect family pet. They're also known for their working ability and are the most popular breed of working and guide dog in the United States, as well! With good medical care and proper feeding, you can expect your Lab to live upwards of 13 years. It is a healthy breed with relatively few major problems... but, like other full-breed dogs, they are susceptible to certain inherited disorders, particularly those of the hip, elbow and knee. While not as common in Labs as in other breeds, dysplasia is also a concern. Labs are somewhat prone to dysplasia of the hip and elbow, especially in larger dogs. Indeed, hip dysplasia is the most common genetic problem affecting dogs of all breeds. Canine hip dysplasia is a general term for the malformation of the hip joint that eventually leads to arthritis. This malformation occurs when the two parts of the hip joint - the ball (femoral head at the top of the upper leg bone) and socket (the "dented" area of the pelvic structure) are misaligned or misshapen. Dogs suffering from dysplasia are not as active as they could be due to significant pain. Often, the only cure for dysplasia is costly surgery to replace the dysplastic hip joint. Labs also suffer from the risk of knee problems. A "luxating patella" is a common occurrence in the knee that results in the leg being "bow "shaped. This abnormality can cause abnormal wear and tear on the joint, resulting in the development of painful osteoarthritis for some Labs. The only way to decrease the prevalence of these disorders is through conscientious breeding practices. However, even the most vigilant breeders cannot eliminate these genetic disorders altogether. There's no way of knowing whether an animal will develop a joint disorder later in life. Regular trips to the veterinarian can play an important role in early detection and early treatment of problems. Unfortunately, the most commonly prescribed treatment for animals suffering from genetic disorders such as hip dysplasia is non-steroidal anti-inflammatory drugs. As in humans, these medications provide temporary relief by decreasing inflammation, but not without a host of potential side effects. Supplementation with glucosamine and chondroitin - the natural building blocks of healthy cartilage - offers relief from pain with long-term healing and little risk of side effects. Like NSAIDs, glucosamine and chondroitin decrease inflammation but they also give damaged joints the raw materials needed to build new cartilage, resulting in true relief from pain. Syn-flex for Pets offers a high-grade liquid glucosamine formula designed to give your pet maximum relief in minimum time. 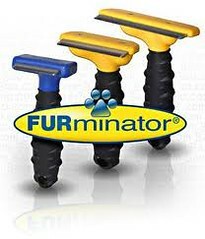 Some satisfied owners report significant improvements in their pets in less than two weeks of use! Synflex (Syn-flex) is a safe, effective, inexpensive, and administering a dose to your pet is as simple as pouring a small amount in a dish or over his/her food. Find out more about Synflex for Pets and the dependable relief that is available for your pet by visiting http://www.syn-flex-usa.com/ today. Labrador retrievers are the most popular dog breed in America and for good reason. They are intelligent, family friendly, fun-loving dogs who possess a strong desire to make their owners happy. Their high level of intelligence allows them to learn quickly and their gentle nature makes them great with kids and other pets. However, just like most other dog breeds, they need sufficient time and training to become the smart, obedient dogs that they are more than capable of being. Listed below are 3 helpful tips to help ensure that you train your Labrador retriever effectively. Just like young children need to be taught proper behavior at a young age, so do puppies. If a child develops bad habits and manners early on, they will likely carry those things on in to adulthood. Labrador retrievers need to be approached the same way and be given proper training when they are puppies. It's so much hard to retrain an older dog than it is to train a puppy, so be sure to start the training process while they are still young. It is important to be patient with your Labrador retriever as it will take time them to learn things. Just as it takes months if not years for a child to learn and develop the ability to speak, dogs will also take time to learn what you teach them. In order for them to learn, you also have to be consistent with your training. Dogs learn from consistent actions and messages, so you need to be patient with your training approach. Rewards like treats or petting in return for good behavior are important means of positive reinforcement for Labrador retrievers and all other dogs. Whenever your dog does something good or follows your training, be sure to give them a reward of some sort. This small reward will motivate them to repeat the positive action in the future. While Labrador retrievers are super dogs who typically don't require as much training as other breeds, they will still need some good training to be the dogs they are capable of. If you start training them early, be patient and consistent with your training, and encourage their good behavior with rewards, you will ensure that your Labrador retriever is an outstanding companion for many years to come. Christine is a bonafide dog lover and trainer with a new directory site for Denver Dog Trainers. If you are in the Denver, CO area and looking for an effective dog trainers, visit her new site at http://denverdogtrainers.com today. A useful lesson to teach your Labrador Retriever is to lie down on command. It is another basic Labrador Retriever training command that is essential for your dog to master. By teaching your Labrador to lie down, you can use that action to put your Lab in a passive stance when needed (ex: when taking your Labrador to the veterinarian or introducing them to new people or children). Now, there are many different ways to teach your Labrador Retriever to lie down, some may work for you, while other will not. We do post more than one different lesson for each Labrador Retriever training command on All About Labradors, so if one way doesn't work, don't get discouraged, try a new lesson. In the bellow Labrador Retriever training video, Melanie McLeroy, of the Taurus Training dog training facility in Austin, Texas talks about getting your Labrador retriever to lie down. Melaine uses a combination of hand signals and food treats to assist with her training. A little advice: Do not teach your Labrador Retriever to lay down before they know how to sit. Once your Labrador has mastered sitting on command, it will be easier to teach them to lie down. Always remember, patience is very important! You are not going to teach your Labrador Retriever how to lie down by yelling at them or hitting! Practice, patients and love are the key! Are Your Dog's Allergies Misdiagnosed? MYTH: Allergies are COMMON in dogs! TRUTH: Most allergies are actually misdiagnosed! Many “symptoms” such as itching, paw licking, excess shedding, irritated skin, chronic ear issues are misdiagnosed as “allergies.” Then the broad-spectrum symptom control starts. There are steroids for the itchy skin, drops for the yeast in the ears, sprays and antibiotics for the hot spots, special creams and shampoos. There are corn-free diets, chicken-free diets...even the vegetarian diet. And don't forget bottled water, allergy shots, antihistamines, creams, sprays. When "allergies" have been treated with no real results, it may be that you are looking at a nutritional deficiency disease! For example, a dog with a zinc deficiency may itch constantly, can have irritated skin or could shed excessively. The fact is many of your dog’s symptoms are actually nutritional deficiencies. And, no matter how you “treat” the symptoms, the only real solution is to fill in the huge gaps in his diet! * Itchy skin? Repair Zinc deficiency. * Stinky ears? Strengthen immune system weakened by a lack of required nutrition. * Flaky skin? Reverse Omega Fatty Acid deficiency. Your dog actually requires many nutrients that are destroyed in the heat processing of his food. Even the highest quality foods are highly processed. Your dog just lacks the tools he needs to be healthy! To help your dog heal naturally, from the inside - out, first, look at your dog's food. Overall, dog food should list meat as their first ingredient....and then meat again, listed in the next 2 or 3 ingredients. In other words, meat should be the main ingredient, not grain. Next, fill in those nutritional gaps with nutritional supplements that contain things that cannot take the heat processing of dog food. Look for supplements that contain probiotics, digestive enzymes, essential fatty acids, delicate vitamins and nutrients. A meaty food plus the added required nutrients will give your companion just what he needs to heal from the inside out! But, remember, turning your pet's health around using nutrition takes time. Be consistent and watch for small changes over the course of several months. Free Online Health Report for your pet! Author: Cindy Lukacevic, Owner, Dinovite Inc., has been working with pet owners for over 10 years to find natural and common sense natural solutions to pet problems. BREA, Calif., Oct. 29 /PRNewswire/ -- Cancer is not strictly a "human" condition. As the No. 1 disease-related killer of dogs and cats, cancer claims millions of pets each year. This November, Veterinary Pet Insurance Co. (VPI), the nation's oldest and largest provider of pet health insurance, will seek to increase awareness about the prevalence, detection and treatment of pet cancer during its fifth annual Pet Cancer Awareness Month. To raise funds for pet cancer research, VPI has partnered with the Animal Cancer Foundation (ACF) and organized its third annual VPI K9K Pet Cancer Awareness Walk in Long Beach, Calif. on Nov. 14. VPI also provides pet cancer detection tips and urges ACF donations through the purchase of pet cancer awareness collars and wristbands at www.petinsurance.com/cancer. VPI started Pet Cancer Awareness month in 2005 after noticing that cancer diagnoses often caught pet owners by surprise. Many either did not know their pets could develop cancer or underestimated the cost to treat cancerous conditions. In 2008, VPI received nearly 30,000 claims for pet cancer. The most common form of pet cancer, lymphosarcoma, made up about a fifth of those claims. Other common forms of pet cancer included: mast cell tumors, fibrosarcomas (which stem from connective tissues), and hemangiopericytomas (a tumor generally located on a limb). Other types of neoplasias --defined as a growth or tumor--were commonly found on the liver, spleen or eyelid. The cost of treating a pet with cancer varies depending on the type of cancer and the length of therapy. If chemotherapy or radiation treatment is required, costs can reach more than $10,000 over several sessions. To ensure that VPI policyholders are able to pursue optimal cancer treatment, VPI offers an optional cancer-specific rider that attaches to its base medical plans. The cancer rider supplements benefit allowances available for treatment of eligible cancerous conditions. To detect cancer early, pet owners should be attentive to any growing lump or sore that fails to heal, drastic changes in a pet's appetite or weight, unusually strong odors coming from a pet, discharge or bleeding from any body opening, difficulty chewing or swallowing, or an unwillingness to exercise. More detection tips and information on Pet Cancer Awareness Month can be found at www.petinsurance.com/cancer. For more information on the Animal Cancer Foundation, visit www.acfoundation.org. Note to editors: VPI can provide state-specific cancer data and digital images of Pet Cancer Awareness dog collars and wristbands. Send requests to gbiniasz@petinsurance.com. Veterinary Pet Insurance Co./DVM Insurance Agency is the nation's oldest and largest pet health insurance company and is a member of the Nationwide Insurance family of companies. Providing pet owners with peace of mind since 1982, the company is committed to being the trusted choice of America's pet lovers and an advocate of pet health education. VPI Pet Insurance plans cover dogs, cats, birds and exotic pets for multiple medical problems and conditions relating to accidents, illnesses and injuries. Optional VPI CareGuard(SM) coverage for routine care is also available. SOURCE Veterinary Pet Insurance Co. Being a dog owner is one of the most fulfilling things you can be. You're responsible for a living creature who relies on you for a home, food, water and love, and they reciprocate by being the most faithful companion one could wish for. As a dog gets older, their nutritional and environmental needs differ. They may not be able to eat food they once loved, due to their teeth weakening or digestive system changing. They may not want to run around and chase after their favorite ball as much, or they may choose to sleep in a more comfortable place (maybe on your feet!) or sleep for longer. * Not wanting to sleep in their usual spot on the patio or tiled kitchen floor. * When out walking, the dog seems uninterested in playing 'fetch', rabbit hunting or anything else they used to do. * Going to the toilet more often, sometimes in the wrong places such as on your living room carpet. * Appearing to struggle with jumping into the car, climbing stairs or simply walking around. * Shunning their favorite dry dog food. * A once-lustrous glossy coat looking dull and feeling dry. * Snapping at family members if approached quickly or from the side. * Wounds taking longer to heal than usual. * Getting startled at sudden loud noises, or conversely not appearing to hear at all. * Provide a soft comfortable dog bed for them, such as in your bedroom or in a warm place. * Consider closing off rooms which are carpeted, in case of accidents. Let your dog out at regular intervals so they can relieve themselves. * Take a sturdy piece of flat timber and fix some pieces of 2x4 horizontally onto it at intervals. This can be kept in your car and used as a ramp for your dog to get in and out of the car. * Invest in a baby gate for the bottom of the stairs to stop the dog attempting to climb them and potentially injuring themselves. * Buy special dog food for senior dogs – it's softer for their teeth, and more suited to an elderly digestion. * Brush their coat regularly and take them to the groomers to keep their coat free of knots and tangles which could tighten and become painful. * If you find your dog is snapping, look into their eyes. If you see that the pupils are cloudy, they may have cataracts. As an elderly dog starts to lose their sight, it's more difficult for them to determine friend or foe if approached silently or suddenly. Make sure all visitors, especially children, know to approach the dog slowly, speaking to them all the while, so the dog knows who they are. *If your dog's regular exercise places are edged by brambles or barbed fences, consider finding somewhere else to take your dog, like the beach or an open field. * A dog who's hearing is deteriorating will need a very patient owner, as simply calling them to you won't work! Think of another way to get their attention. A small water pistol can work wonders; it doesn't hurt the dog but it will let them know you're calling them. A very important aspect of caring for an elderly dog is to keep an eye on their weight. Obesity is a very real danger in older dogs as they don't get as much exercise, although with breeds like Labradors you'll probably find they can still run rings around you even when they should be drawing a doggie pension! Slim dogs live longer than overweight ones, so put leftovers straight in the bin and ignore pleading doggie eyes! If you must give your dog snacks, stick to things like soft fruit and vegetables – mashed potato is especially good for them as it contains carbohydrates for energy as ease of digestion. If you'd like to help care for dogs who aren't fortunate enough to have an owner of their own, consider taking out one of the Dogs Trust charity credit cards. These cards will donate a portion of everything you spend to the Dogs Trust, which is dedicated to providing safe, comfortable accommodation for homeless and abandoned dogs. A big thank you to Louise for the wonderful information on caring for your elderly Labrador Retriever.